Happy Thursday! My normal routine has been a little thrown off due to Hurricane Matthew. I've been trying to pretend like it's not happening, but deep down I'm pretty terrified. I hope everyone in the path of the storm is staying safe out there. Today I thought I would try to lighten the mood and share some things I'm currently loving. 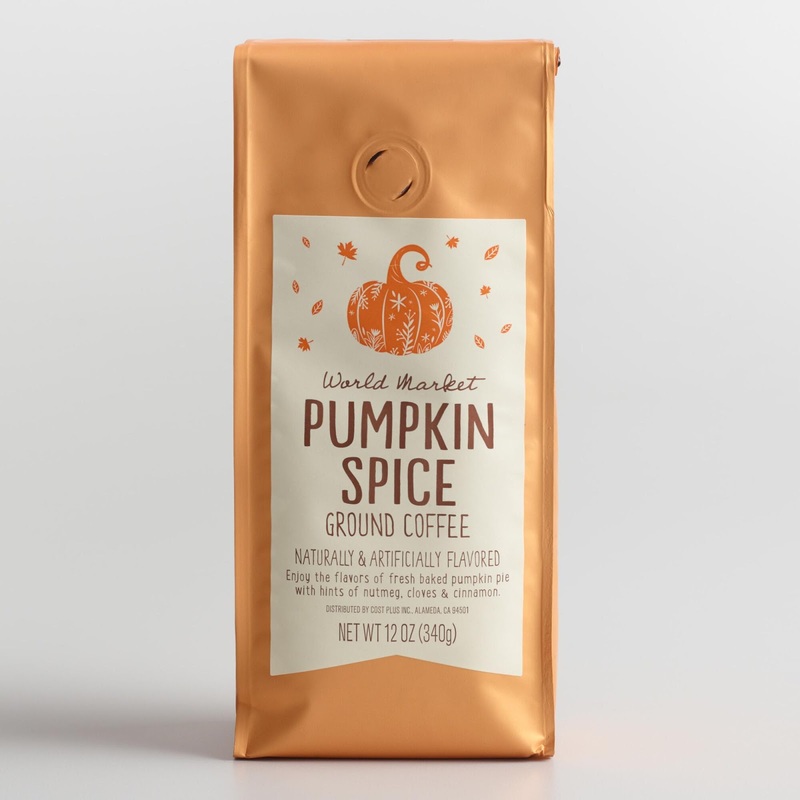 First up, this Pumpkin Spice coffee from World Market. I don't always love flavored coffee because it sometimes tastes too artificial but this one is a winner! I'm a part of the basic crowd that loves a good PSL, minus the calories that comes with it. Pour a cup, add a splash of vanilla almond milk creamer, and this coffee satisfies the craving. Storage Full — a message I see quite often on my phone. I will admit, I take a lot of pictures and the problem is finding a place to store them all. I transfer them to my computer but always worry that if something happens to it, I will lose them all. Enter Google photos. It has been one of the best discoveries for someone like me. Once you download it to your computer it will automatically upload all of your photos and videos and organize them. It will also create animations, movies and collages for you. Google photos automatically put together the animation below by grouping a burst of photos I had taken. Did I mention that it's free and there's unlimited storage. What more could you ask for? Btw, this is my childhood cat Lucy, who lives with my parents. Snacking on candy at work is not something that I usually do, unless I'm in need of sugar to get me through a long meeting. This is exactly how I was introduced to this delicious candy. As we were all sitting the boardroom, fading fast, these sweet treats appeared on the table. I had never heard of UNREAL Candy before, but I'm glad I'm aware of it now. 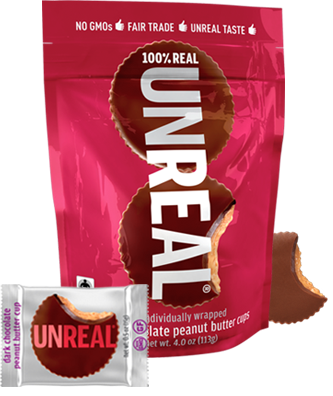 UNREAL's ingredients are sustainably sourced and free of GMOs, gluten, soy, corn, excess sugar and artificial flavors, dyes and preservatives. We tried a few different types but these dark chocolate peanut butter cups were my favorite, hands down. Summer may be over, but that won't keep me from sipping on a little rosé, like this bottle of Magic Maker by Saved Wines. A dry, crisp and refreshing rosé with flavors of tangerine, strawberries and green apple. It's a new favorite for me! Inspired by a tattoo artist, the art on the bottle is pretty intriguing as well. I discovered this at Avondale Wine and Cheese the other week and I'm so glad I did! What are some of your favorite things that you're currently loving? Thanks for your awesome list! 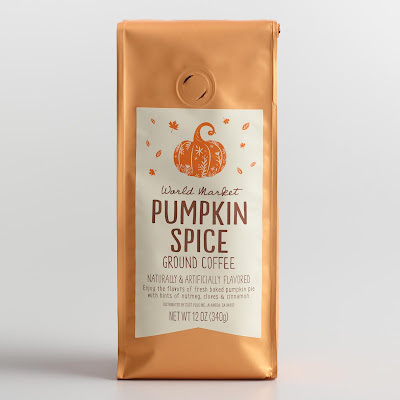 I feel the same about flavored coffee so I appreciate your recommendation about this pumpkin one. I will be at World Market this weekend to stock up on fall decor so I gotta check this out. Also, I am intrigued about Google photos. My iCloud is almost full so I need to get more space somewhere! Thanks for the info! And stay safe during the hurricane! No problem! Let me know what you think about the pumpkin coffee if you decide to try it. And I'm so glad I found out about google photos...it's been a huge help! Thanks! We were thankfully safe during the hurricane. Just some minor flooding in our neighborhood, but no damage. We were very fortunate! Definitely looking into Google Photos! I'm always worried that I'm going to lose/damage my phone and lose all my pics! Stay safe! Yes, you should definitely check it out. It has really been helpful with my storage issues. Love me some pumpkin spice coffee! My phone is always full of pictures. I think I have like 19,000 pictures, but I'm in the process of backing them up to Google Photos!! Such a lifesaver! I know the feeling It really is a huge help! Yum! That wine sounds delicious! I also want to try that candy. I have a pretty bad sweet tooth. The wine was great and you should definitely try the candy, especially if you have a sweet tooth!